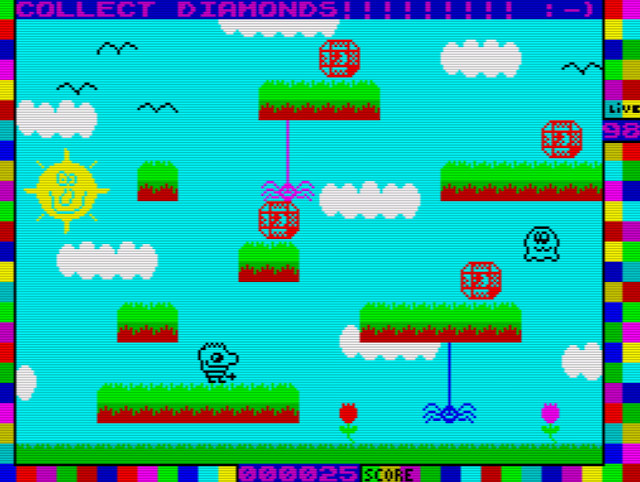 Only just last week Yerzmyey with Hellboj released their latest platforming wonder on the ZX Spectrum 128k titled as ' Mysterious Dimensions '. Originally based on AGD, and featuring child like drawings, you are on a quest to collect as many Diamonds as possible scattered throughout each of the vast 4 levels, totalling 44 screens in 11 chambers. But watch out for the static spiders and animated enemies as they really hurt! Mysterious Dimensions doesn't have high grade enemies nor does it stand out graphically compared to say 'Harbinger Convergence', but that really doesn't matter as this game is just fantastic. It's so full of charm and character that anyone of any age could pick up and play and enjoy. 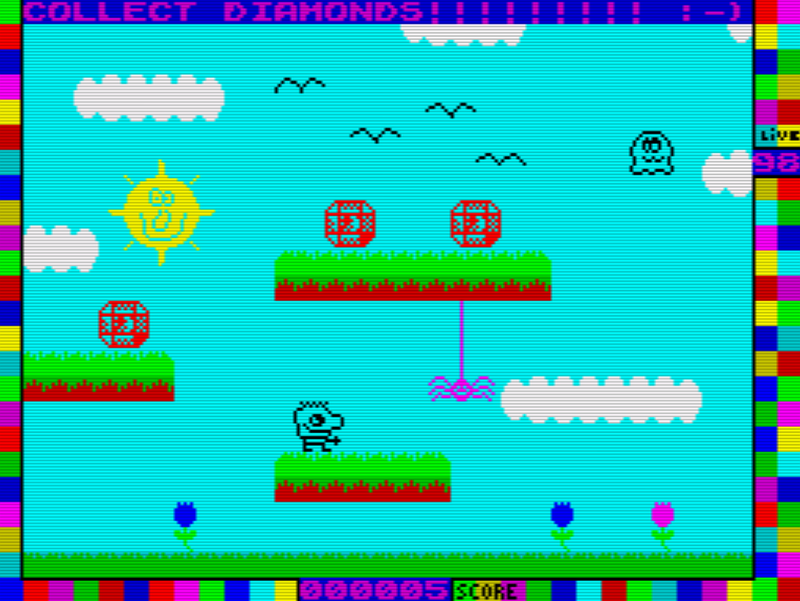 I just love the child like graphics with a hand drawn player and smiling sun, or the little ghosts moving up and down the screen.